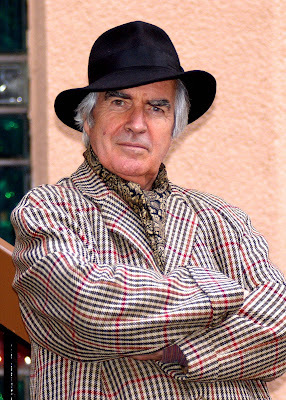 MAYBOLE is in for a unique weekend at the end of October when world famous actor, author and director John Cairney (pictured below) brings all of his experience to the town. On Friday 30 October at 7.30pm he will be presenting “A Burns Experience” in Maybole Town Hall, and the following day at 2pm he will be appearing in a brand new show with pupils from all Maybole schools. This show is entitled “The Boyhood of Burns”. John has written nine playlets tracing the young life of Burns, and the young pupils will be rehearsing between now and then. He will also be the production consultant and narrator and this show will also be in the Town Hall. Tickets will be £5 for the Friday evening and £3 for the Saturday afternoon and are available from June Dunlop 37 High Street Maybole, telephone 01655 882210. Thanks to funding from EventScotland and South Ayrshire Council this will be a truly unique event. Locally, members of Maybole Community Council, Maybole Community Association, Maybole Historical Society and Maybole St Crispin Burns Club as well as staff at the four Maybole schools are working together to put on the events. In addition, a bust of Robert Burns has been commissioned and will be unveiled that weekend. John Cairney is well known to audiences in Scotland and internationally through his one-man shows about Burns. To many people, he is synonymous with the Bard and is considered as one of the leading interpreters of the works of Robert Burns. In more than fifty years as an artist, he has worked as an actor, recitalist, lecturer, director and theatre consultant. He is also a published author and an exhibited painter. Trained at the Royal Scottish Academy of Music and Drama, he was a notable Hamlet at the Citizens’ Theatre and a successful Macbeth at the Edinburgh Festival. He was also ‘This Man Craig’ on television and has appeared in many films like ‘Jason and the Argonauts’ and ‘Cleopatra’. For seventeen years John Cairney was based in Auckland, New Zealand, where he gained his PhD. He is much in demand as a lecturer, writer and consultant on Robert Louis Stevenson, Charles Rennie Mackintosh and Robert Burns. Dr Cairney has written books on each of these famous Scots, as well as other books on football, theatre and his native Glasgow, where he now lives permanently with his New Zealand wife, actress and scriptwriter, Alannah O’Sullivan. There are currently 579 Ayrshire business stories permanently archived on this site. To locate those of most interest to you, please use the site search facility in the top left hand corner of this page. Type your search term in the white box, then click “SEARCH BLOG”.